APPSC Departmental Tests November 2017 Session Notification @ www.psc.ap.gov.in: Applications are invited ON-LINE from 17/10/2017 to 07/11/2017 for the Departmental Tests November, 2017 Session to be held from 23/11/2017 to 28/11/2017. Applicants primarily shall register the One Time Profile Registration (OTPR) through the Commission Website viz., https://www.psc.ap.gov.in. Once applicant registers his/her particulars, a User ID is generated and sent to his/her registered mobile number and email ID. Applicants need to apply for the Tests using the OTPR User ID through Commission’s website. The application will be available on Commission’s website (https://www.psc.ap.gov.in) from 17/10/2017. The last date for submission of online application is 07/11/2017 up to 5:00 PM and the payment of fees shall be accepted till 11:59 PM of 07/11/2017. Hand written / Typed /Photostat copies/Printed Application Form will not be entertained either directly or by post Office or in person. The terms and conditions are detailed hereunder following Departmental Tests Rules, 1965 and subsequent amendments to these Rules from time to time. The detailed time table is appended at Annexure-II. A candidate desirous to appear for more than one Test may apply for the Tests to the extent the Time-table at Annexure-II permits. The list of books allowed for each Test along with syllabus is available on Commission’s Website. The syllabus for Paper Codes 92 and 102 of Departmental Tests for Commercial Taxes has been revised as suggested by the Commissioner of Commercial Taxes and hosted on website separately. 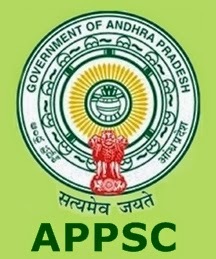 (i) The employees of Government of Andhra Pradesh are eligible to apply for the Tests that are prescribed in their respective Departmental Service Rules. (ii) The Secretariat employees are allowed to appear for the following Tests, wherever the rules permit in order to get eligibility for appointment by transfer/ promotion to other Services. i) The fee for each Test is Rs. 200/- (Rupees two hundred only). However, no fee is prescribed for the Tests in Gujarathi and Marwari Languages. ii) The applicant shall pay Rs. 500/-(Rupees Five Hundred Only) towards application processing fee, besides the examination fee. HOW TO APPLY: A) PROCEDURE TO UPLOAD THE APPLICATION FORM: The Applicants shall read the Instructions Manual at Annexure-I and go through the User Guide on Website before submission of Applications online. STEP-II: The Applicant has to Login in the Commission’s website with the User Name (OTPR ID) and the Password set by Candidate. After Login, the Applicant has to click on the “Online Application Submission” present in the bottom right corner of the commission’s website. PAYMENT PROCESS: The Applicant now has to click on the payment link against the Notification No.10/2017. The Basic details required for calculation of the Fee will be prepopulated from the OTPR data. The Applicant has to verify all the details that were displayed. Once the Payment form is submitted, the respective details (Used for Calculation of fee) will not be altered in any stage of application processing. Hence if any details are to be changed, applicant should use the Modify OTPR link, modify the details, save it and again click on application payment link.